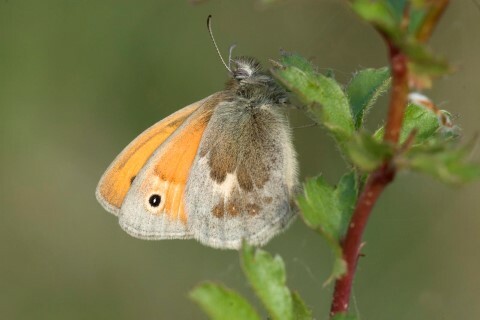 Small Heath butterfly. Can be seen on the reserve from late April onwards (in a good year) although their numbers peak in June, and again in August. 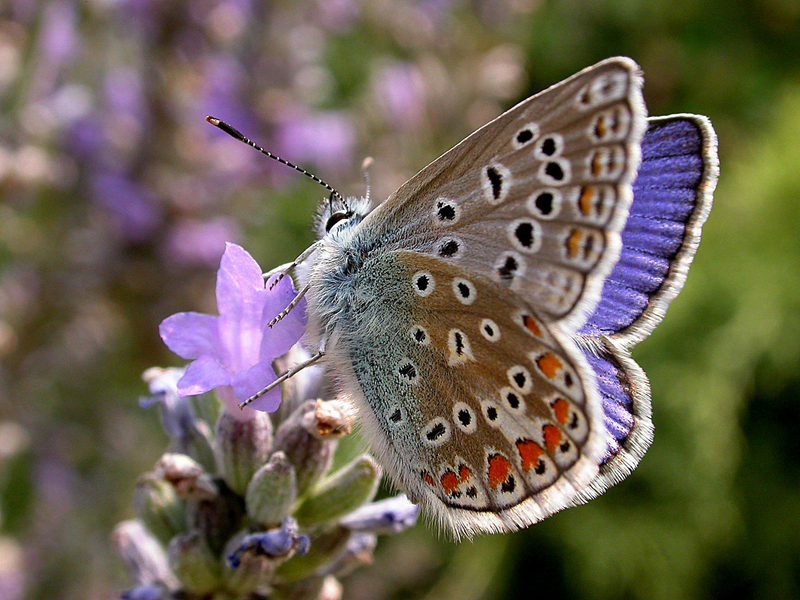 It is an inconspicuous butterfly that flies only in sunshine and rarely settles more than a metre above the ground. 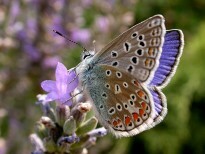 Its wings are always kept closed when at rest. It lays it's eggs on fine grasses, especially fescues (Festuca spp. ), meadow-grasses (Poa spp. ), and bents (Agrostis spp.). If you visit the reserve in early May, you will have a good chance of still seeing all of the early Spring butterflies, and the cowlsips should still be visible in the upper and lower meadows. By late May, the cowslips will have finished, and the meadows slowly become a more intense yellow, dotted with white, as buttercups, yellow rattle and Ox-eye daisy flower in profusion. Moving into June, the yellow starts to fade, and the meadow starts to change colour, as the Red Clover comes into flower. Photo credits: Small Heath copyright Nick Bowles. 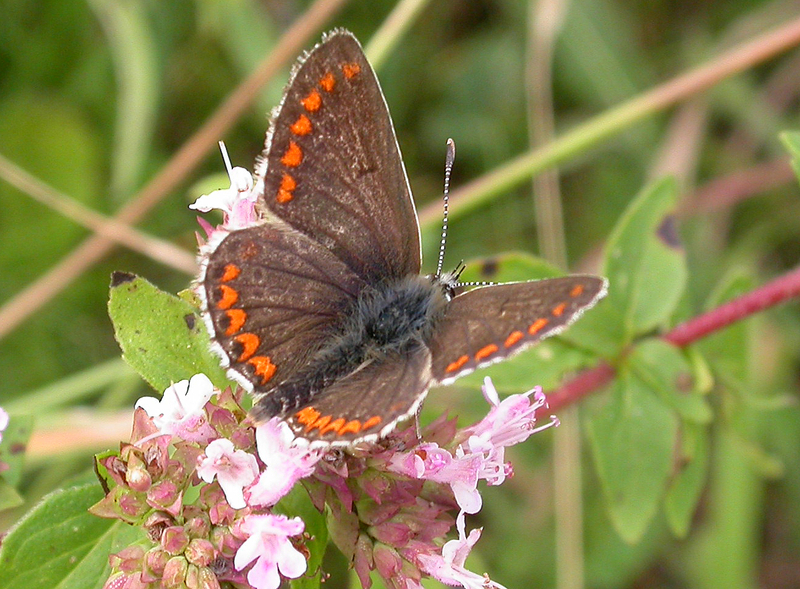 Green Hairstreak and Small Copper copyright Wendy Wilson. Brown Argus and Common Blue copyright Chris Woodrow. 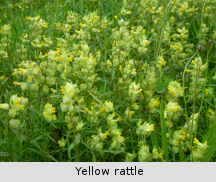 Yellow rattle copyright Tony Gillie.